Imam Ahmad Raza Islamic Mission is most Prominent and Leading Organization of Ahle Sunnat Wal Jama'at of in Jammu and Kashmir. It was established on the 5th of July 2000 in Kashmir with the sole purpose of uplifting the Muslim Ummah academically and spiritually. It promotes and defends the pristine teachings of the mainstream Ahle-Sunnah wa Jam‘at as propounded in the life and works of A‘la-Hadrat Imam Ahmad Raza khan al-Qaudri. It follows the same sunnism which brought by the Great Saints in Valley of Kashmir. The First founder of Islam in Kashmir Was Hazrat Allama Bulbul Shah Tarkustani. Hazrat Bulbul Shah Sahib spread the Islam in Kashmir. After that seven hundred Saints came from Iraq to spread Islam in Kashmir. The famous saints are Hazrat Ammer kabir Mir Syed Hamdani (Shah-E- Hamdan), Hazrat Syed Hussain Simnani and the famous saints of Kashmir Hazrat Sheikh-Ul-Alam Noor din Noorini, Hazrat Sultan-Ul-Arfeen Sheikh Hamza Makhdoomi and Hazrat Baba Dawood Khaki. Imam Ahmad Raza Islam Mission aims Includes bring all Sunnis close to each Other and make them aware of Reform Movements Which are Running in the name of Islam. To love those who love Allah and Muhammad. To bring other non-believers on to the path of Allah and Muhammad. To spread the path of the Ambiya, the Awliya, the Shuhadah, the Saaliheen and Siddiqeen. To promote and propagate the teachings of the Ahle Sunnah Wa Jamaah as was practised by the Islamic Prophet Muhammad and also followed by the Four Righteous Caliphs, Sayyiduna Abu Bakr Siddique, Sayyiduna Umar Al Farouk, Sayyiduna Uthman Ghani, Sayyiduna Ali Al Murtadha and the Four eminent Imams, Imam-e-Azam Abu Hanifa, Imam Shafai, Imam Malik, Imam Ahmad bin Hanbal; the Awliya-Ikraam, Ghousul Azam Hadrat Sheikh Sayed Abdul Qadir Jilani, Sayyiduna Hazrat Moinuddin Chisti Gareeb Nawaaz, Sayyiduna Sheikh Bahaahul Haq Nakshabandi, Sayyiduna Sheikh Khaja Shahabudeen Omar Suhrwardi; and the various Masha'ikhs and Ulema, such as, Mujaddid-e-Deen-o-Millat, Sayyidi A'la Hadrat, Ash Shah Imam Ahmed Raza Khan Al Qaadiri Barkaati, Huzoor Mufti Azam Ash Shah Moulana Mustafa Raza Khan Al Qaadiri Barkaati and Allama Tajul Sharia Mufti Akther Raza Khan Azhari. To promote the Celebration of the Birthday of Sayyiduna Rasoolullah, the Urs Shareef of the great Awliya and Swaliheen of Islam, and such auspicious occasions as Laylatul Qadr, Laylatal Meraj, Laylatal Barat, Laylatul Ashura. To adopt ways and means in order to improve, promote and protect the religious, moral, educational, social and cultural interests of all Muslims living within Jammu and Kashmir and abroad. To serve as a centre of learning and teaching the basics of Islamic Faith in accordance to the Sunni path. To make children and adults Huffaaz of the Holy Quran. To provide such facilities and assistance as may be necessary to persons who could do useful research in Islam. To formulate and implement a simplified and objective educational syllabus to suit the needs of children of Muslim parent Jammu and Kashmir. To guide Muslims in Islamic affairs. To maintain an Islamic book, and audio-video library. To translate, compile, publish and distribute useful Islamic literature, books, magazines, brochures, periodicals, newsletters, pamphlets, etc. with special reference to the teachings of A'la Hadrat (alaihir rahmah) and his Successors (Radi Allahu anhum ajma'in). To initiate schemes of general welfare for the Muslims, to serve and aid the needy and the destitute. To make representations wherever and whenever necessary to authorities for the removal of disabilities that affect the Muslims and the Islamic Shariah. To support any worth while cause undertaken by any other Sunni society, institution or body working for similar aims and objectives. To follow up misrepresentations of the cause of Islam and Muslims in books, magazines and papers, and to present the same in its true spirit and perspective by means of articles, letters to the editor and other means. 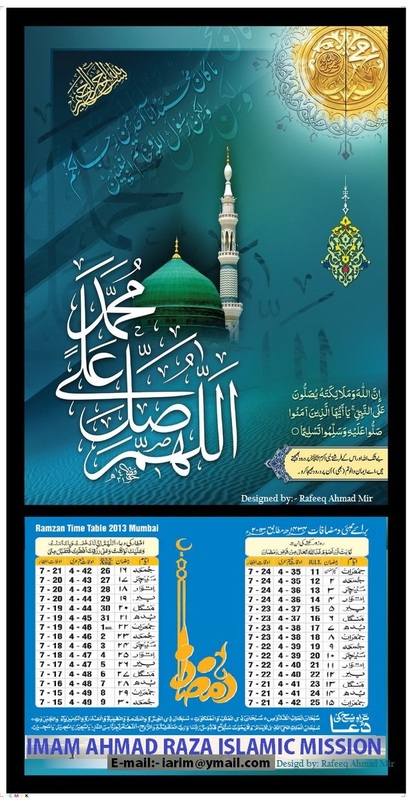 Islamic programmes: Dhikr, Milad-Un- Nabi, Urs Sharif, Khatam al-Qur'an. May Almighty Allah bestow His Mercy upon us and lead us to the straight path, the path of those whom Allah has favoured and not the path of those who earned His anger or those who went astray. Aameen! 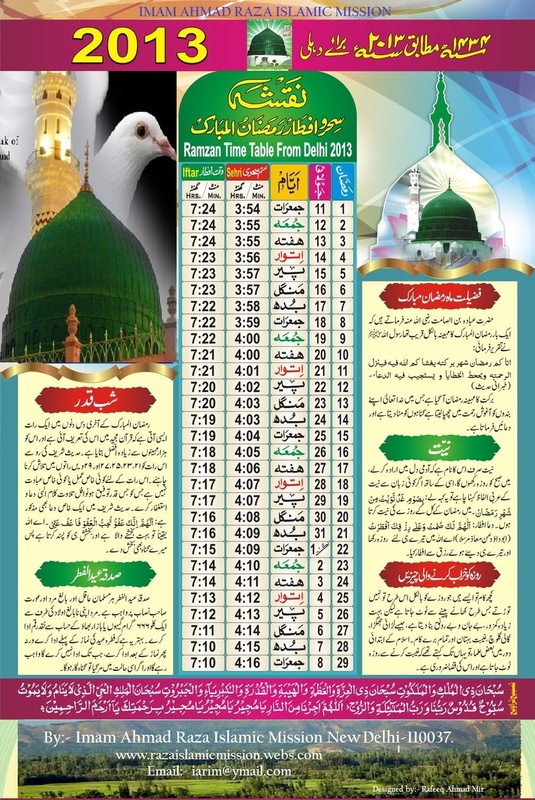 Ramdaan-Ul-Mubarak Time Table for MUMBAI. We have published the new Islamic Quaterly Magazine " The Voice of Islam". Please contace us for the Subscription. A huge demonstration was held in the heart of Delhi against an alleged “blasphemer”, the printer and publisher of Diamond Comics. Muslims claim that the April 2011 issue of Diamond Comics, containing the alleged blasphemous remarks and pictures, is still being sold in the market. The issue is said to contain the Prophet’s imaginary photos. Several such protest demonstrations, dharnas, agitations and meetings have taken place in various places in the country and regularly been covered by New Age Islam. 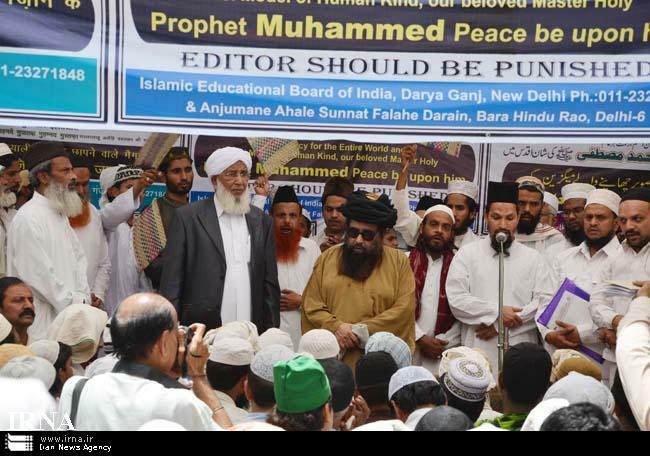 A demonstration attended by several renowned Islamic scholars including Hazrat Quazi Ahle Sunnat w Mufti e Azam Mian Samar Dehlavi was organized at Jantar Mantar, New Delhi, by Islami Taalimi Board of India and Anjuman Ahle e Sunnat Falah e Darain Masjid e Shaikhan,Muslim Students Organisation of India MSO President Syed Muhammad Qaudri,All India Ulema Mashaiklh Board Convener Dr. Muhammad Ahmed Naeemi. The demonstrators demanded immediate cancellation of the publisher’s license, RNI No. and the government declaration. 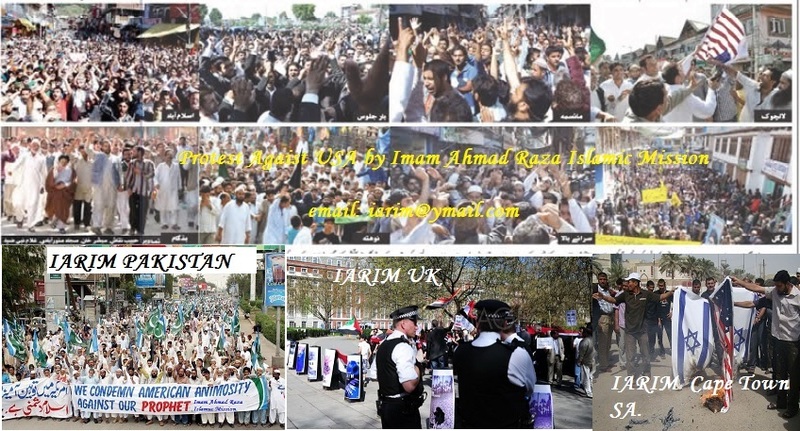 While addressing the demonstration, the patron of the organization, Quazi Ahle Sunnat w Mufti e Azam Dehli Mohammad Mian Samar said, “It is the religious duty of all the Muslims to secure and protect the honour and dignity of the Prophet (pbuh) and for this Ghulaman e Mustafa (Servants of the Prophet) cannot desist from paying even the highest price. Muslims sentiments have got wounded by the cheek of the publisher’s act of shame and ungodliness. Several speakers demanded immediate arrest of the said publisher and banning of the “blasphemous” issue of Diamond Comics. These were: Maulana Shaikh Abu Bakr Ahmad Quadri, Jamia Markaz Saquaft us Sunniya, Kerala, Quari Mohammad Mian Mazhari, Maulana Shah Al Hameed, Syed Mohammad Quadri, President, MSO of India, and Amanullah Khan, the one who have lodged an FIR in Jamia Nagar Police Station. 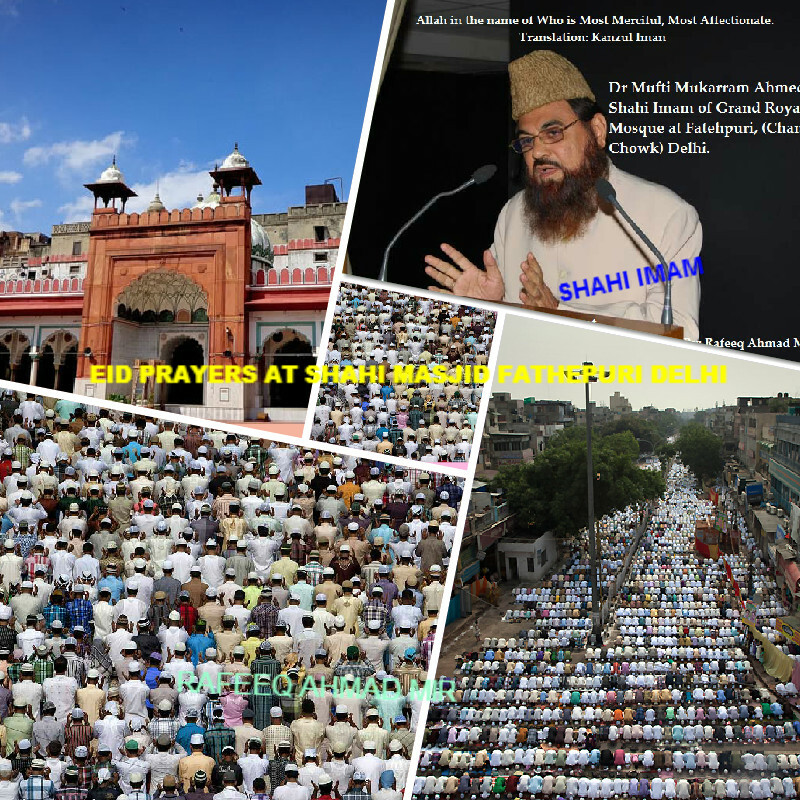 This demonstration was attended by the Member of Delhi Legislative Assembly, Mr. Shoaib Iqubal, various Sajjada Nasheens, Mashaikh and respected citizens of the town other than Peerzada Bashir Naqushbandi, Maulana Abdul Quadir Rizvi, Maulana Farogh Ahmad, Maulana Rafiuddin Quadri, Maulana Kaleem Reza, Maulan Mohammad Intezar Ahmad, Maulana Ahmad Naeemi, Convener, All India Ulema Mashaikh Board,Engineer Shujaat Ali,Syed Faraz Hussain,Waseem Barkati,Syed Adnan Raza,Muzammil Khan and many advocates along with thousands of public. Mr. Amanullah Khan said he contacted all the Milli organisations in this connection but the so called leaders of the community do not come forward on this burning issue concerning Islam. He added, ‘’ Today I am very happy to see this large gathering and have once again got confirmed that there is no lack of the servants of the Prophet. Almost all the speakers demanded a ban on the publication and cancellation of the registration of the Diamond Comics and arrest of the publisher and said that the demonstrations and agitation will continue till their demand is accepted and the blasphemer is sent behind bars. Infamous orator and Ahle Hadith doctor Zakir naik has been issued Non Bailable warrants against him by the Jhansi court of Uttar Pradesh,India.A complaint was filed against him by Mudassar Ullah Khan, a resident of Chhatapur, Jhansi in 2008. Khan alleged that apart from the speech, pamphlets were also distributed in Jhansi condemning those who follow the Hadis or the book on the sayings and doings of Prophet Mohammed salallahoalaihiwassalam. Advocate Nazrul Islam Zafri who is representing Naik in the high court said, “The complaints made against Dr Naik are frivolous and malicious. It has been filed just to defame him.”The case will be heard by Justice RD Khare of Allahabad high court. The Allahabad high court will be hearing a petition filed by Mumbai-based television evangelist Dr Zakir Naik on May 16 in a three-year old case where the preacher is alleged to have given speeches on television, exhorting Muslims to take up terrorism. Naik, who heads a group called the Islamic Research Foundation, Mumbai, is alleged to have given the speech in Bangalore. The talk was relayed on his ‘Peace’ television channel on January 21, 2006. Raza Academy,a representative body of majority Indian Muslims have written to the Mumbai police commissioner saying that Naik should not be allowed to leave the country.Muhammad Saeed Noori ,General secretary have asked the govt. to Seize his passport immediately. In 1915 he wrote a treatise describing 160 types of water which are acceptable for wudu (ablution), and 146 types of proscribed water. He identified 181 acceptable and 130 unacceptable materials for tayammum (alternatives to water for ablution). He was able to fill up the Naqsh-i-Murabba (a sixteen column quadrilateral) by 1152 methods. He knew 800 names of Muhammad from books, and was able to gather 1400 more. He analysed whether it was credible that Hussain was able to travel from Mecca to Kerbala on 3rd Zilhij and reach there on 2nd of Moharram. He investigated the types of horses, the loads they carried, the route of the caravan, the types of terrain, and other factors, and finally concluded that the caravan could feasibly have reached Kerbala by the 2nd.